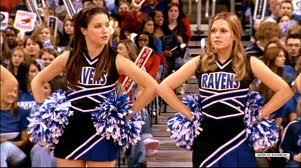 Cheerleaders. . Wallpaper and background images in the one tree hill club tagged: brooke haley peyton cheerleaders. This one tree hill photo might contain jugador de baloncesto, basketeer, estereotipador, cager, finalmente, drible, and dribbler.